Ubisoft has been hard at work bringing many titles to gamers over recent years. However, there is one series that has remained untouched for nearly six years, and fans have been wondering when the next installment will arrive. Of course, Splinter Cell is a beloved franchise among many that come out of Ubisoft, but players are beginning to wonder what the hold up is. 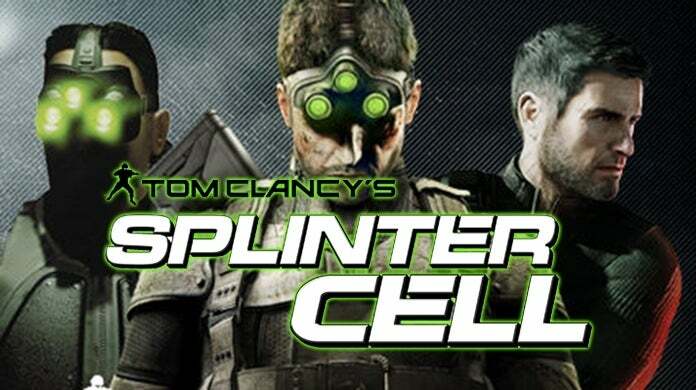 Well, according to CEO Yves Guillemot, the Splinter Cell series has been neglected due to fan pressure as well as a focus being place on more successful games. "So, some of the teams were more anxious to work on the brand. Now there are some people that are looking at the brand, taking care of the brand. So, at one point you will see something, but I can’t say more than that." Guillemot continued, saying, "Because also of Assassin’s Creed, and all the other brands taking off, people wanted to work on those brands more. So, we have to follow what they like to do." It's understandable that Ubisoft would want to focus on the brands that are the most successful, but it's good to know that they haven't forgotten about Splinter Cell. After all, it's been nearly six years since Splinter Cell: Blacklist was released, and now that other Tom Clancy series such as Ghost Recon and Rainbow Six have made some significant comebacks, perhaps it is time for Sam Fisher to make his triumphant return. Either way, we will just have to wait to hear more from Ubisoft. What do you think about this? Are you hoping Ubisoft gets to work on the next Splinter Cell installment in the near future? When do you believe they'll return to the series? Sound off in the comment section below, or feel free to hit me up over on Twitter @anarkE7!